If you’ve been looking for a MTL (or restricted-lung) squonking experience, the Vandy Vape Berserker MTL RDA is definitely worth checking out. It features an especially unique airflow system—you can use any of the 6 included internal airflow pieces to fine-tune the draw. Very cool. Now that it’s been on the market for a little while, the prices are finally starting to drop. 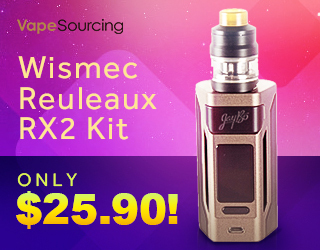 Eightvape currently has it on sale for only $19.99, which might be the lowest price I’ve seen yet. Great deal coming from a US vendor. 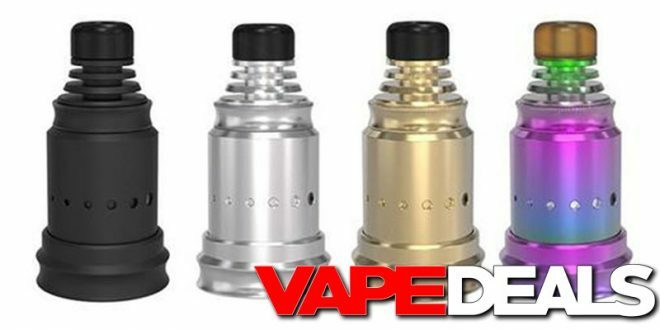 The Vandy Vape Berserker MTL RDA is available in 4 different colorways: stainless steel, black, rainbow, or gold. This may only be a limited-time offer, so stop by soon if you’re interested.